Set on the banks of a gently flowing river close to a large and lovely nature reserve, Ludo is the perfect place for nature lovers to use as a base during their camping holiday. Make sure that you grab this opportunity today by booking with LuxCamp. 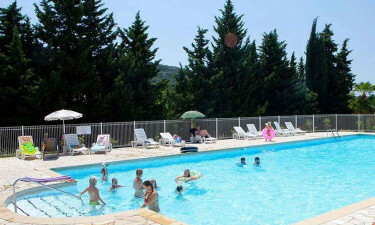 The close proximity Regional Park of the Monts of Ardeche to this luxury camping site means that guests will be able to explore at their leisure. 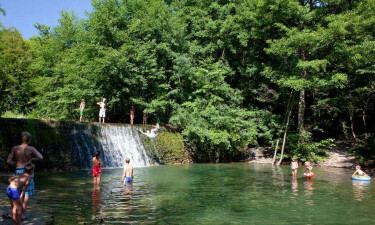 Special trips can also be organised to the volcanic plateau of Coiron. The staff at Ludo offer a wide range of activities for children of all ages to take part on such as treasure hunts, sports tournaments and excursions in the surrounding area. the kids can also keep cool by splashing around in the outdoor swimming pool while their parents unwind in style. 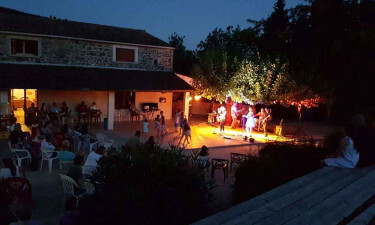 Guests who want to sample traditional French cuisine will want to make sure they sample a meal at the onsite restaurant, where all dishes are created from fresh local produce. The site also boasts a well stocked grocery shop that makes it easy for guests to put together meals and picnics in their mobile home.